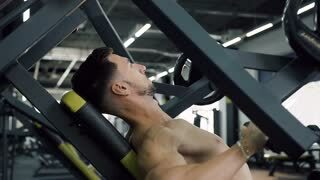 Search Results for "sport exercise"
Young sport man pumping arms muscle using sports exercise machines during the training in the gym. Close up shot. Young sport woman exercising with heavy steel dumbbell outside on nature in the park. Fitness exercise for girls outdoors.